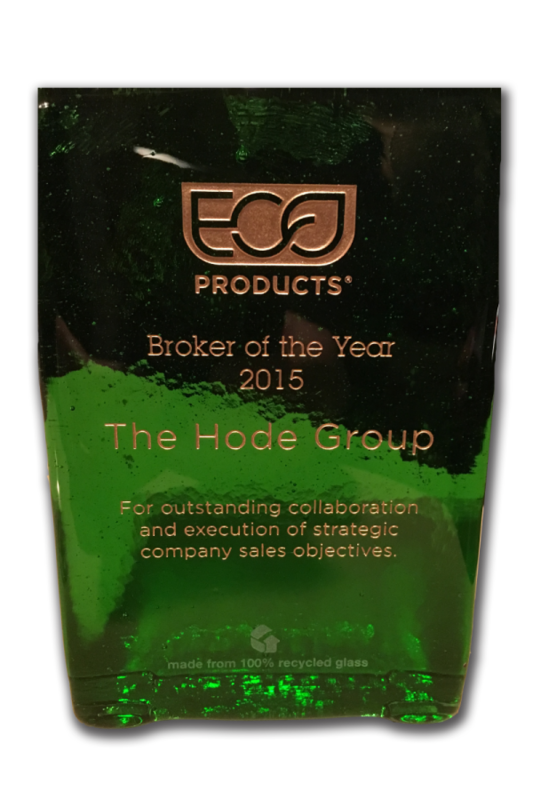 The Hode Group (HGI) was recognized as Eco-Products’ 2015 Broker of the Year at their National Sales Conference in Boulder, Colorado. This special honor came in light of HGI’s outstanding performance in 2015 with recognition and gratitude going towards the amazing team at Eco-Products and HGI’s key distribution partners. The HGI team looks forward to a great 2016 with Eco-Products.